John Snedden, founder of Rocklands Barbeque & Grilling Company, offers today's Chef Five Bites. 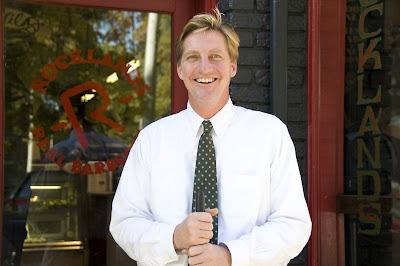 He opened the first Rocklands in 1990 on Wisconsin Avenue, where the smoky barbecue scent still perfumes the air. Snedden now operates four Rocklands in the DC area. John Snedden & Co. always on the lookout for a great taste adventure. If those are his 5 Bites - they are worth the trip....but then so is ROCKLANDS!